With the revolutionary Dipos Antireflex screenprotector you are receiving one of the currently best screenprotectors for resistive and capacitive display technologies. According to non-prestigious surveys users particularly value the antireflexion coating and the bubble-free application. The new Dipos Antireflex screenprotector film offers mechanical protection and a reduction of bothersome light reflexion. The material is ideal for outdoor applications such as e.g. navigating in your car or on your motorcycle. Working with high-gloss notebook displays is virtually impossible outdoors or under unfavourable light incidence due to the severe reflexion. With the Dipos Antireflex screenprotector the display is pleasantly matted and reflexion significantly reduced. 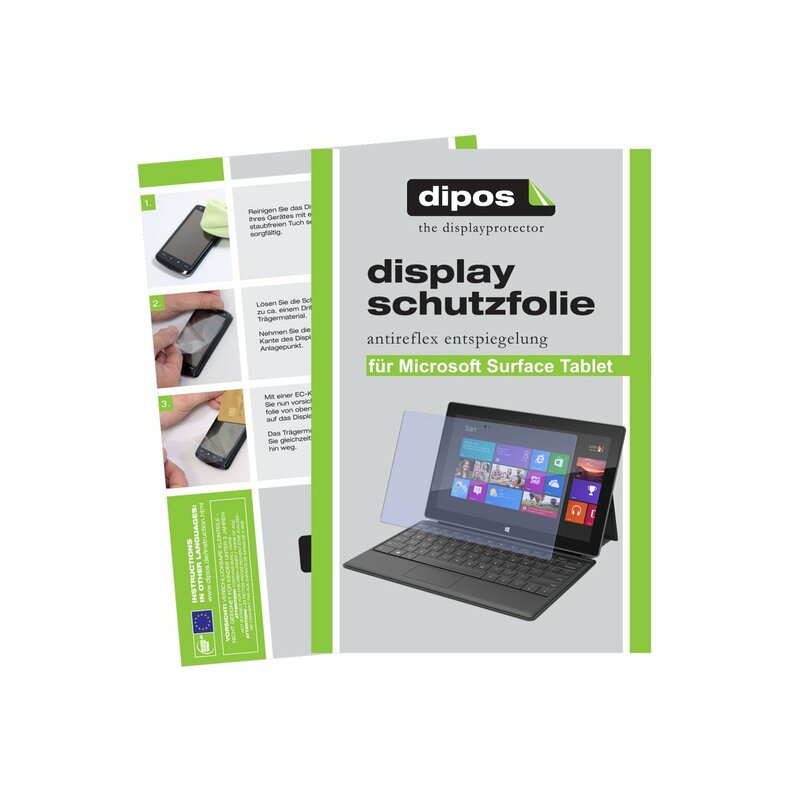 The Dipos Antireflex screenprotector is highly resistant to scratches when using a 4H pencil. The abrasion resistance is many times higher than that of simple surface protectors. On touch screen devices the material surface generates an excellent writing quality and the best conditions for use. With ordinary use of the device considering the manufacturer recommendations this protective film will expectedly last the entire lifetime of the device. The Dipos Antireflex screenprotector adapts to the display without applying pressure. The application is very easy and can be repeated as needed. If necessary, dust and other foreign particles can be washed from the speciality silicone undercoating using clear water. Since the film is anti-static it will not attract dust particles when removing the protective backing. Fingerprints which are rather visible when using anti-reflex coatings can simply be wiped off with a dry cloth. Naturally the Dipos Antireflex screenprotector can be removed from the display without residue. While the protective film adheres very well during use, therefore offering a crucial basic requirement for the long-term protection of the display, it is completely removable from the display without leaving any residue. The contour is designed using original devices, tested, and manufactured with modern precision machinery under strict quality controls. Each film features a special removal tab, making application significantly easier.